Small with a Mighty-Funk... coupled with an Incredible Acoustic Overtone! 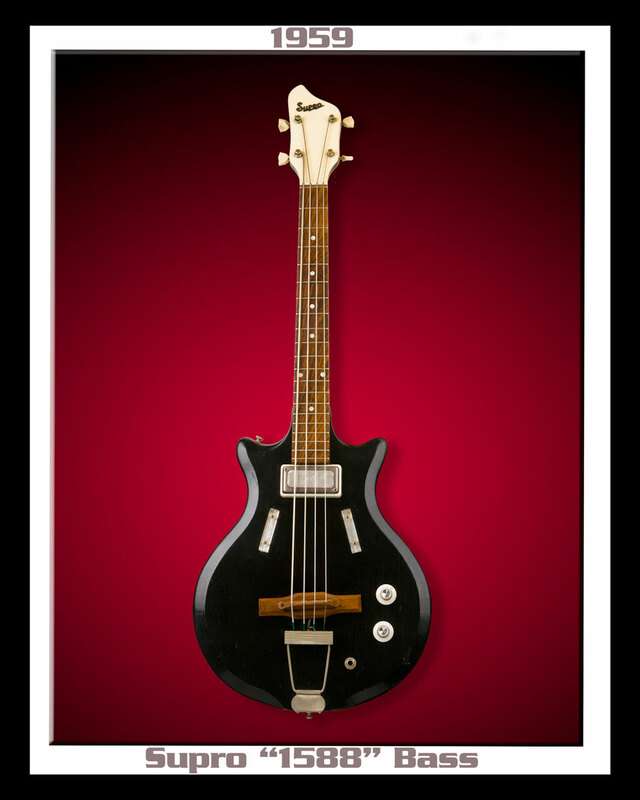 The Valco-made Supro "King Kord" Pocket Bass is arguably one of the coolest basses ever made. 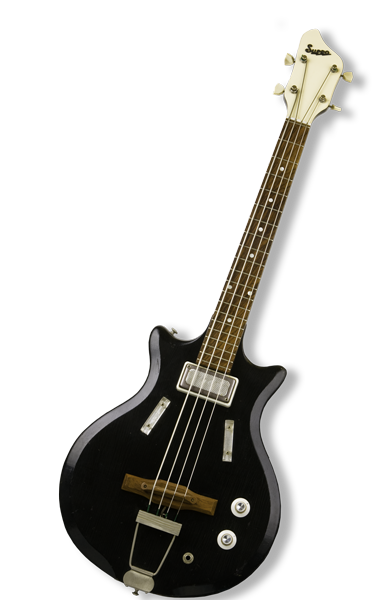 It has a big bottom with a huge, warm, ringing, round tone and is ridiculously easy to play. 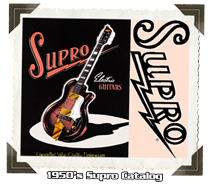 The Supro Pocket Bass was only produced in black, with transparent thumb and finger rests on each side of the body. A Rosewood fingerboard and the trademark white headstock... features Kluson Tuners. A Valco pick-up is in the neck position. In the bridge position 2 magnetic rods run from the top of the bridge to the bottom, where 2 coils surround these magnetic rods. The history behind these is more about economics than anything else. They're nothing more than a guitar-sized bass. This model is actually a Valco made guitar with a different neck and bridge. As a production strategy, Valco used these dual-purpose bodies to get more bang for fewer production bucks... Unfortunately, the production-life of these "Little Beasts" only ran for fewer than 4 years. Ex-Bob Dylan sideman, Saturday Night Live bandleader and vintage guitar collector, G. E. Smith called the Pocket Bass "the BEST recording bass around."